It’s time to look back at the Fab Food 4 All highlights of 2015, find out your top 10 recipes and also showcase 30 fellow food bloggers’ most popular recipes! 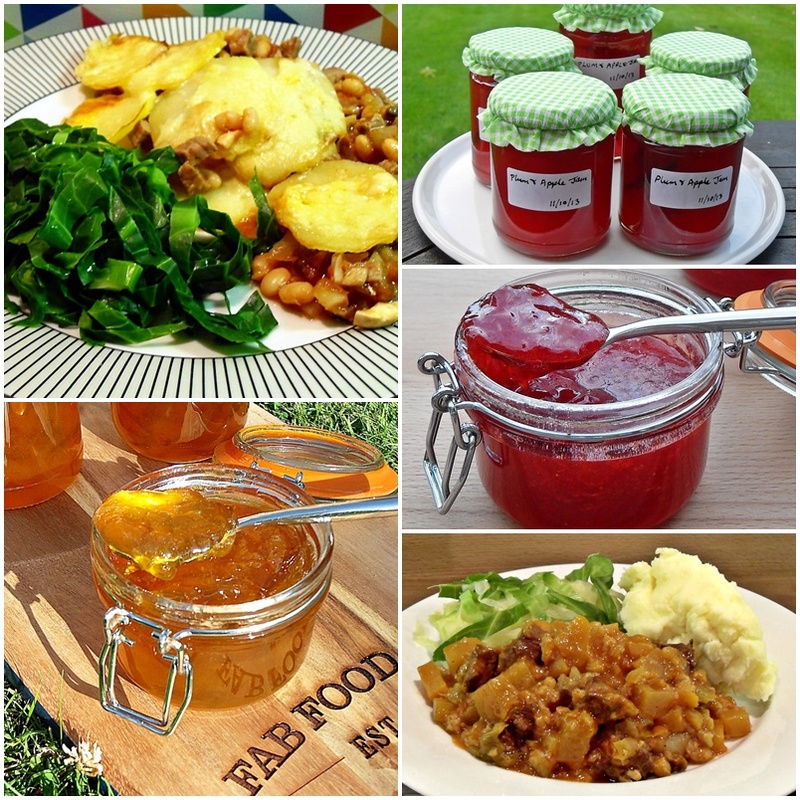 As you can see 5 out of the 10 top viewed recipes were for jam which makes me very happy. When I started making jam it just took me over and I actually thought that my infatuation would turn regular readers away. How wrong was I, it just goes to show that if you are passionate about something then there will be others out there who share your passion. I’m not one for following fashion or trying to do things that I think will be popular, this blog is just a reflection of the dishes that we like to eat, that fit into a busy lifestyle and that won’t break the bank. Back in February my Nutella Brioche Pudding was picked by The Guardian to be featured in their readers recipe swap where the topic was “Stale”. 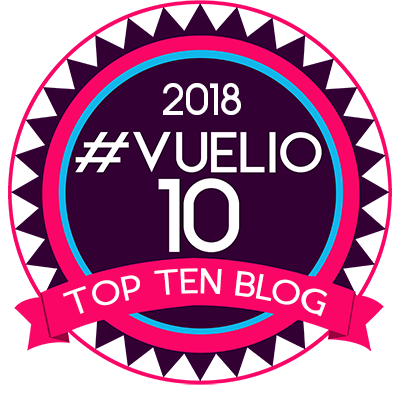 In June I nearly fell over when I discovered that I’d been nominated in the MAD Blog Awards in the Best Food Blog category. 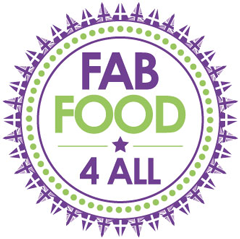 I can’t tell you what a shock this was as I thought I needed to put my name forward to even be considered, so to find that the public had nominated Fab Food 4 All in great numbers was truly humbling and if you were one of the people who nominated me then I thank you, this alone made me feel like a winner! Back in June I was very excited to be featured in The Sun in the Mrs Crunch column with some of my money saving tips! In September I was very pleased to meet the lovely and extremely funny John Whaite who dazzled the crowds with his culinary skills at the Woking Food Festival. I love that as a food blogger I can walk up to well known foodies and there’s just an instant common bond which there wouldn’t be if I were to walk up to say a movie star. 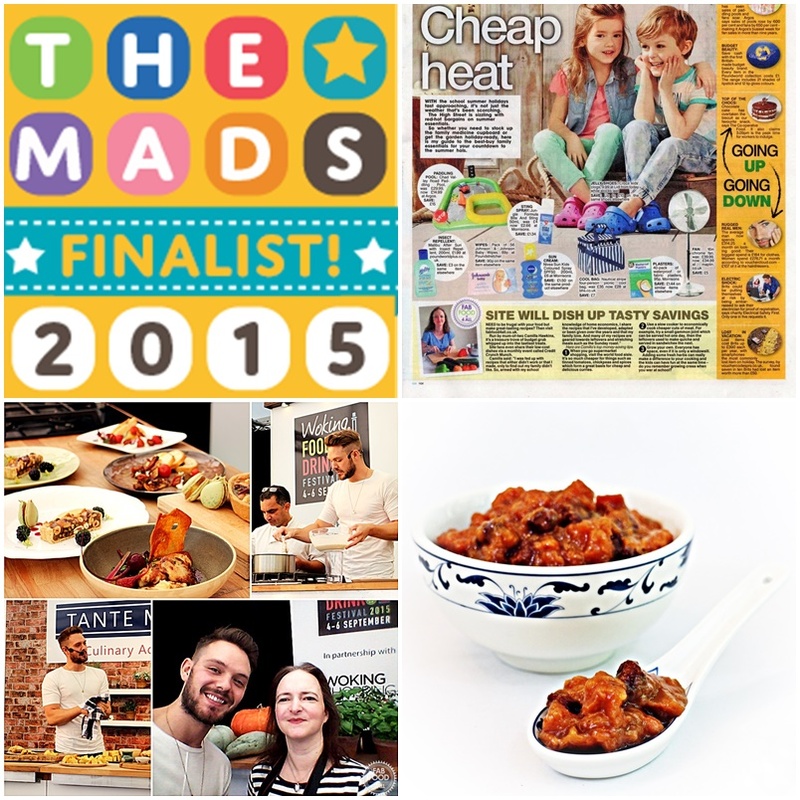 This month I found out I was in the Tots 100 “Top 10 Family Food Blogs of 2015” which was a real thrill and a nice way to round of the year. This was the year that I got 6 photographs of my dishes accepted by Food Gawker, I think my new camera really did pay off. My aim for 2016 is to get many more pictures accepted! Finally, I had my Spicy Banana & Mango Chutney featured on FeedFeed which probably won’t mean much to most of you but like Food Gawker they only feature the best of the best so again I was over the moon! Go Compare, Lindemans, SPAM Chopped Pork & Ham,a2 Milk,Traidcraft, Schwartz, Oreo, Expedia, Bacofoil, Thermapen, McCain, Typhoo, SimplyCook, Caprera, Wayfair, Danone Activia, JD Sports, Oxo Good Grips, Brabantia, Tefal, Edge of Belgravia, Sage by Heston Blumenthal, Fudge Kitchen, VonShef and Joseph Joseph. 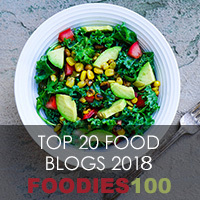 Out of the 30 most popular dishes only ten are savoury so that’s very interesting plus the slow cooker recipes seem very popular which is great to know as I’ve just had a new bigger, round slow cooker for Christmas and look forward to making new dishes in it! So it just leaves me to wish you and yours a very Happy New Year and thank you for all your comments, e-mails and general support whether you are a reader, a fellow blogger or a brand as without all of you there would be no Fab Food 4 All. I look forward to an exciting new year and wonder what highlights I will be writing about this time next year? If your favourite recipe isn’t in my Top 10 then do let me know in the comments which is yours or are there any dishes you’d like to see featured in 2016? Fabulous collection of recipes! Thanks for including my Tandoori chicken recipe in the round. Thanks so much for including me in this great list of blogs! I’m honored to be included. I hope your 2016 is just as fabulous, if not more so! Thanks Karen, Happy New Year to your too! Ooh that pork recipe sounds totally awesome so not surprised! 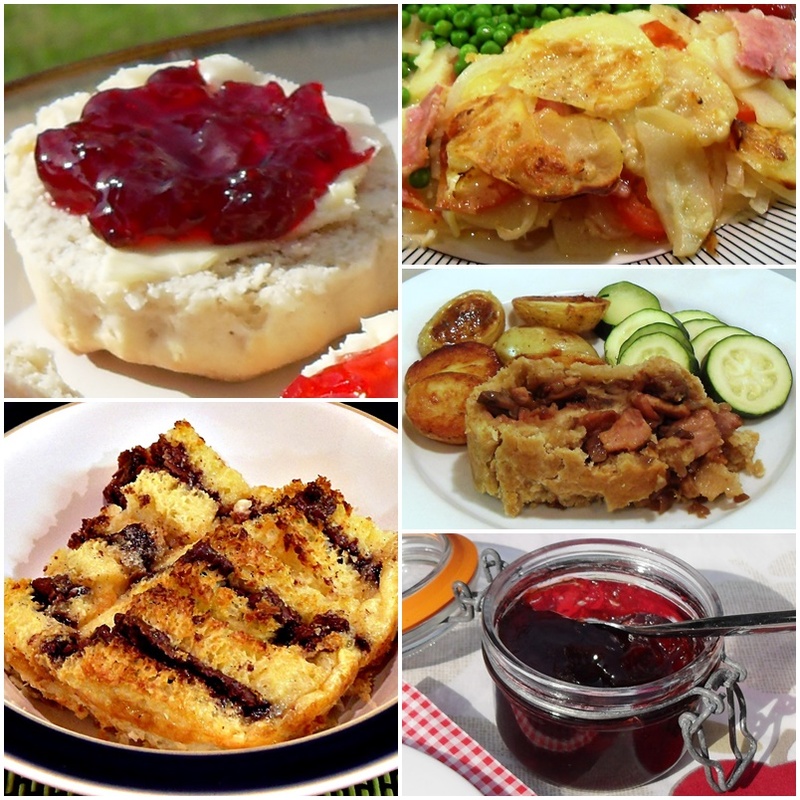 Wow – what a smorgasbord of recipes! So interesting to see what recipes do well – – you never can tell before publishing! Wishing you all the best for a delicious 2016! Incredible and delicious round-up! Thanks so much for putting this together; I need a new drool napkin after seeing this collection!